Galaxy S7 and S7 Edge are the 2016 flagships from Samsung still running on Android 7.0 Nougat. Android 8.0 Oreo update was in pipeline for Galaxy S7 series upto June 2018. Finally, the South Korean tech gaint pushed out the update for unlocked editions of S7 and S7 Edge in late-July. Before that the major US carriers and Canadian carriers begun the rollout of Android Oreo in June. In the UK also, the rollout of Oreo has completed for S7 series. Previously, we expected that Samsung might rollout Android 8.1 for S7 series, but now it seems that S7 users won’t get Android 8.1 officially through OTA. Interested Exynos Galaxy S7 and S7 Edge users can update their devices to Android 8.1 through custom rom from XDA community. However, we don’t recommend every one to use custom roms, because of their unstability, random reboots and other problems. The South Korean tech giant is currently developing the Pie update for Galaxy S8 and S8 Plus devices, but we still don’t know whether Samsung is planning to develop the Android Pie update for S7 series or not. Google announced the Android 8.1 update which is the first maintenance release for Android Oreo on December 6th. In this update, Android Developers fixed 48 bugs and many security bugs. Not only that, the update also come with Neural networks API, Bluetooth Battery levels and many awesome new features. Prior to the release of final edition of the update, the Search giant released two developer previews in October and November. Already Google Pixel 2, Pixel series, Nexus 5X, 6P, Nokia flagships and Essential Phone received the update and still yet to reach the Samsung flagships. The Android 8.1 Oreo update features the biggest AI processing API, Neural Network API which provides the base layer for popular Neural Networks like Caffe2, Tensor FlowLite etc. With the API, the app developers can develop much efficient Neural Networks which help in better AI processing and quick inferences. Editor’s Pick : Android 9 Pie is coming soon for Galaxy Note 8 and S9. Due to the on-device machine learning support of the API, neural networks process the information by using the CPU without reaching for the network. So Battery consumption will be reduced and unnecessary load on Mobile Networks also be reduced. The API has much improved in the Android P developer Preview 1 as and arrived as version 1.1. So in future many improvements regarding the Neural Network API will take place. One of the awesome features arrived with Android 8.1 is Bluetooth battery levels in Quick Settings panel. With the feature, users can easily check out the battery level of the connected Bluetooth device directly through the Quick Settings panel. Simply beside Bluetooth icon in the panel, the battery bar will be displayed. In the Galaxy S7, the levels may appear with Samsung Experience Skin, after the update. Many users prefer to use Open Wi-Fi networks to reduce the carrier charges and unnecessary battery drain. But the speed of the Wi-Fi network matters well to download any files, stream music or netflix in 4K and make video calls. In Android 8.1, Google brought an enhancement to display the speed of the Wi-Fi in the list of Open Wi-Fi Networks. The speeds are displayed as Very Fast, Fast, OK and Slow. So the user can decide which Open Wi-Fi is strong and fast and connect to it. The Autofill API came to Android with the 8.0 Oreo update which automatically fills online forms and logins. Later in Android 8.1, the Search Giant made many enhancements to Autofill to improve user experience and functionality of the feature. The improved Autofill in Android 8.1 features new credit card data filling interface which shows the Credit card bank logo, last four digits of the card number, so that user can easily identify it. Many user interface optimizations have also arrived with the Android 8.1 Oreo update which provide much better experience to the user. Currently famous third party apps 1Password and LastPass support the Autofill feature. However, in Google Chrome, users cannot use Autofill in Android Oreo and most likely the feature will come in Android 9.0 P.
The Battery section in the Settings Menu has changed much and the list of battery draining apps will be displayed in the section. Previously, in Android 8.0, Google employed stringent app background limits to reduce unnecessary battery drain and overheating. Now after updating to Android 8.1, Galaxy S7 and S7 Edge users can view the list of the battery draining apps by specific requests like Location access for Maps app, and disable the access to reduce the battery drain by the app. In Android 8.1, Google employed an additional layer of buffer to reduce the screen frame drop rate drastically and provide buttery user experience. The Pixel and Nexus 5X users upgraded to Android 8.1 Oreo reported that, the scrolling is very smooth but it affects the system responsiveness a little. However, considering the experience provided by buttery smooth scrolling, responsiveness loss is very little, according to users. Previously, iOS devices are equipped with buttery smooth scrolling and now the feature comes to Android ecosystem with the Android 8.1 update. Google has been trying to refine the scrolling experience through the Project Butter and now a massive refinement arrived with the latest update. One of the minor refinements but yet exciting in Android 8.1 Oreo is the Power Menu with Auto Night and Day modes. Albeit the feature might not arrive to Galaxy S7 due to Samsung’s custom Experience UI, it is one of the impressive features of Android 8.1. The Power Menu in Android 8.1 appears with light background and dark font in the Day time with Power Off and Restart options. In Night time, the Menu appears in Dark Background with light font to reduce strain on eyes. We will update this post soon with more details about the Android 8.1 update for Galaxy S7 and S7 Edge devices. It seems that the Android 8.0 Oreo update is very near to rollout for Galaxy S7 and S7 Edge devices. Recently, Samsung began the rollout for unlocked Galaxy S8 and S8+ devices. Now the time come for 2016 Samsung flagships, as the Wi-Fi Alliance certification for S7 and S7 Edge Android 8.0 Oreo update appears in the Wi-Fi Alliance website. According to Sammobile the update might rollout to Galaxy S7 and S7 Edge devices in April. So after the rollout of Android 8.0, Samsung may begin working on the Android 8.1 update. More details on the Android 8.1 update will be revealed soon. Finally, Samsung began the Oreo rollout for Galaxy S7 and S7 Edge. 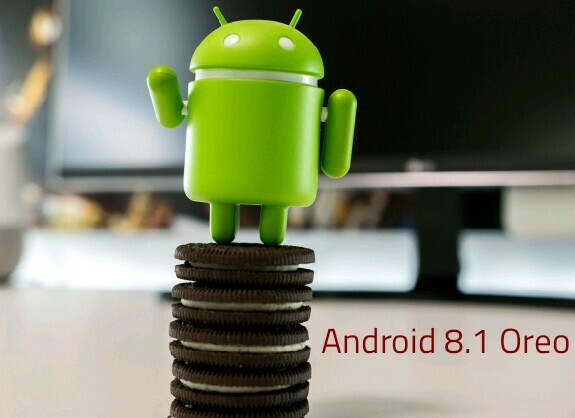 Some users on Vodafone carrier in the UK reported that they have got the Android 8.0 Oreo update notification. The users on O2 and other carriers yet to receive the update but very soon they will get it. In the states also, Samsung may start the Oreo rollout for S7 series soon. But it still unknown whether Samsung go to release Android 8.1 for S7 or not. In coming days, more details about Android 8.1 for Galaxy S7 will be revealed.